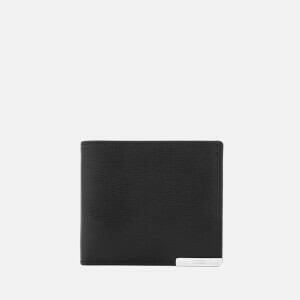 Men’s ‘Baretta’ leather cardholder from Italian luxury label, Tod’s. Made in Italy from grain textured leather, the credit card holder is designed with five card slots, a central compartment and a Tod’s engraved metal plate to one corner. Complete with tonal topstitching and presented in a branded dust bag and gift box.